Ask Willie Stylez - The Blog! 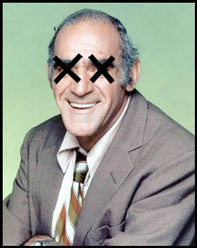 : Abe Vigoda's status... I think he's alive, but who knows? Abe Vigoda's status... I think he's alive, but who knows? Do you find yourself, waking up at night, anxious to know... Is Abe Vigoda still alive??? Well, now there's is a website keeping tabs on just that! Not only do they know if he is alive, but apparently they have a PreMortem Mix dedicated to the man as well! Check out the site, and now you too can know Abe Vigoda's life status 24/7/365!